Google New Chromebook Price, Specifications, Release Date, Features! Made by Samsung, Out Now for Pre-Order in the US! I really wish Google would eventually make it easier for consumers in the Philippines to purchase a Chromebook because the device is only getting hotter with every new release and I'm sure that ever since the first model came out, many Pinoys have been aching to own one. 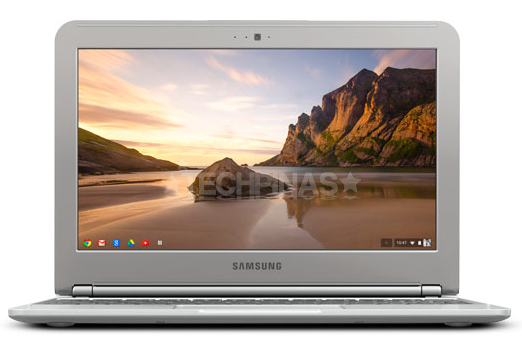 A Chromebook is basically a personal computer that runs Google's Chrome OS, which is centered around the popular Google Chrome web browser. Users can also download and install various applications and even games on the "laptop-like" device. 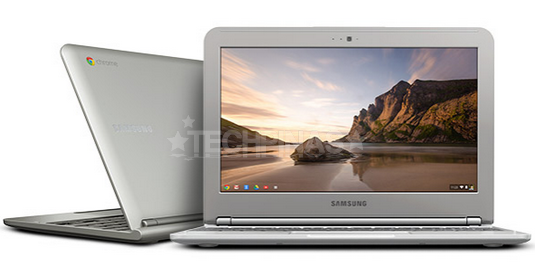 Yesterday, Google officially announced its newest Chromebook made by Korean company, Samsung. Priced at only $249 or around Php 10,300 with current conversion for the WiFi-only version, this particular model - the XE303C12 - features an 11.6 inch 1366 x 768 pixels display, 1.7GHz Dual Core Samsung Exynos 5 Dual processor, 2GB of RAM, 16GB of flash storage plus an additional 100GB Google Drive Cloud storage, a full keyboard paired with clickable trackpad, a VGA camera above the screen, one USB 2.0 port and another for USB 3.0, an HDMI port, and dual band Wi-Fi 802.11 a/b/g/n as well as Bluetooth 3.0 support. Just from looking at the above-mentioned specifications, I guess users would do well not to expect that they'd be able to do "heavy" computing, video editing or gaming on this device as they would on a Windows 7 laptop powered by the latest Intel Core processor (Heck, such comparison would be so unfair anyway.) Nonetheless, I think Chromebook would prove to be an ideal secondary notebook for web-browsing and processing word documents, among other "light" activities. However, if you're not really a power user or if you just use a computer to browse the web, upload photos, check your email, or open Facebook and Twitter, I believe Chromebook can totally work as a primary laptop for you. Personally though, what I find attractive about the new Chromebook - aside from the rather decent 6.5 hours uptime - is its design. I mean, just look at the photos. This "notebook" is just 0.8 inches thin and weighs merely 2.5 lbs making it an absolute joy to have in the bag when you have to do a lot of walking. And with that "Macbook Air like" ultra-slim, tapered design, your Chromebook should effortlessly make a few heads turn to check it out whether you're using it in a cafe or in a classroom. 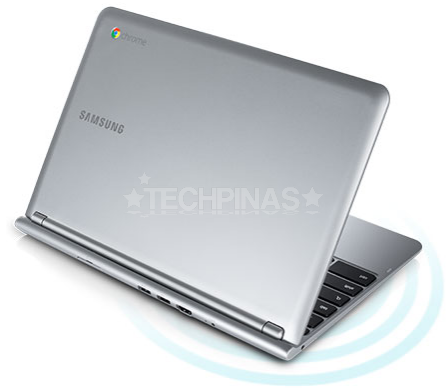 I'm not sure if Samsung would bother to bring the new Chromebook to the Philippines but I really hope they do. Anyway, if you're interested to own one as soon as possible, you can always email your trusted Pinoy online reseller to get you a unit from the US or United Kingdom where it's now up for pre-order.